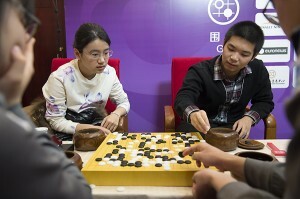 China has swept the SportAccord 2014 World Mind Games go competition, winning gold in the men’s team and women’s individual events. Tuo Jiaxi, Mi Yuting and Shi Yue (right) easily dispatched the US team in the final match to clinch their gold medals. The first round of go competition at the 4th SportAccord World Mind Games on December 11 featured an epic encounter between the Korean and Japanese men’s teams, and a historic victory for a Russian woman. The Japan-Korea men’s match was close on all three boards. 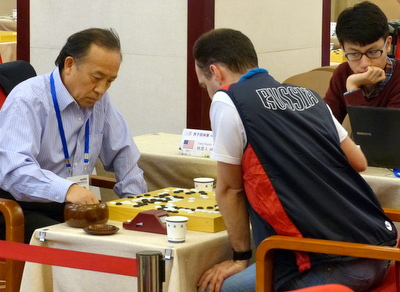 Yuki Satoshi (right) of Japan defeated Korea’s Park Younghun in a prolonged struggle on board one. In the battle between two young players on board two, Japan’s Ida Atsushi, 20, overplayed his advantage against Na Hyun, 19, by starting an unnecessary ko fight, in the course of which Na was able to revive his dead group and evened the score in the match at 1-1. All now depended on the outcome of the game between Seto Taiki of Japan and Korea’s Kang Dongyoon on board three, and the people following the action on the monitor screens in the adjoining room were held in suspense down to practically the last move, but after a grueling five and a half hours, Kang came up the winner by 4.5 points. Meanwhile, the Chinese team of Shi Yue, Mi Yuting, and Tuo Jiaxi was dealing unmercifully with the European team of Fan Hui, Aleksandr Dinershteyn, and Ilya Shikshin. European stones died en masse on all three boards. The team from Chinese Taipei also blanked the North American team 3-0, although the game between Chen Shih-Iuan and Jiang Mingjiu on board one was quite close. Russia’s Natalia Kovaleva defeated Chinese Taipei’s Cathy Chang in the women’s individual competition. 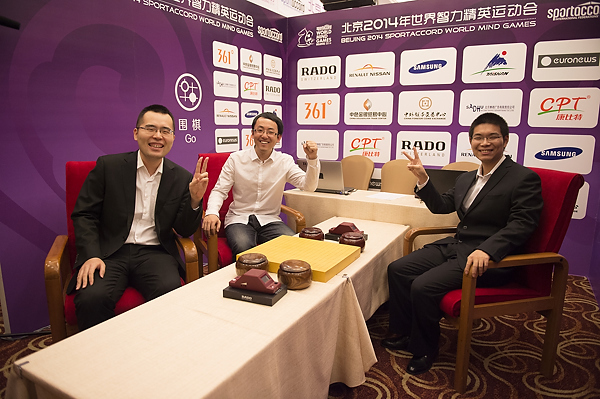 The fourth SportAccord World Mind Games officially opened at an evening ceremony held on December 10 in the banquet hall of the V-Continent Beijing Parkview Wuzhou hotel near the Beijing International Conference Center, which is the competition venue. Thirty go players representing the best of China, Chinese Taipei, Europe, North America, Japan, and Korea will compete with each other December 11-17, rubbing shoulders with some of the world’s best bridge, chess, draughts, and xiangqi players. Counting all five disciplines, there are 150 contestants, drawn from nearly forty countries and territories on six continents. Click here for Ranka Online’s reports on the SAWMG’s Opening ceremony and draw and Players Converge on Beijing for the 4th SportAccord WorldMind Games. 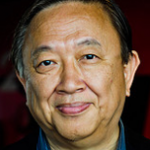 Click on another insightful Redmond commentary, Dinershteyn-MiYuting_annotated.sgf, for an incredible game, in which Black opens with a 5-7 point play in each corner for his 1st four moves! 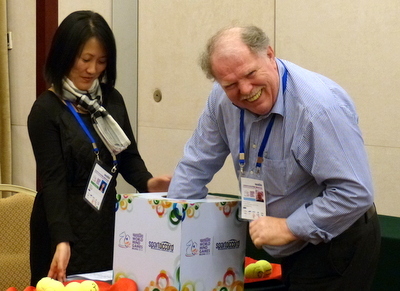 The 4th SportAccord World Mind Games (SAWMG) will be held in Beijing December 11-17. Contestants will compete for gold, silver, and bronze medals in five areas: go, chess, contract bridge, draughts and xiangqi (Chinese chess). The go competition will follow the same format as last year: 18 men representing China, Chinese Taipei, Europe, Japan, Korea, and North America will compete in a three-man team round-robin; 12 women from the same areas will compete in an individual double knockout; and 16 of these contestants will also compete in a single knockout mixed pair tournament. The Chinese team this year is comprised of 5 professionals, four 9 dans and a 5 dan. The players participating in this year’s SAWMG are older than last year’s, with only 3 teenagers divided between the Chinese, Japanese, and North American teams, including the granddaughter of Fujisawa Shuko, who is returning for her second SAWMG. The European and North American teams are fielding mixed pro-amateur teams. The North American team is comprised of three veteran players and one young Canadian woman, Ming Jiu Jiang 7P, Huiren Yang 1P, Daniel Daehyuk Ko 7D and Irene Sha 6D. The European team is primarily Russian, but also includes a professional 2 dan from France. Coverage of the SAWMG will begin on the 11th, with daily reports and commentaries posted on the RANKA website. Click here for the schedule. - Amy Su, based on reports on Ranka. The AGA is holding a 1-day tournament on KGS on Monday, September 22 to select the replacement for Gansheng Shi, who was selected to represent North America at the SportAccord World Mind Games (SAWMG) but could not go. 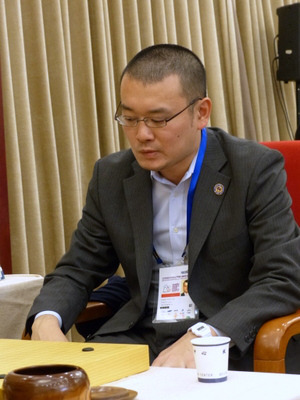 Mingjiu Jiang will play Eric Lui on Monday at 12 noon EDT in the AGA tournament room, and the winner will later play a deciding game with Jie Liang. The time for the second game is yet to be determined, but we’ll try to post it on our Twitter and Facebook accounts. The Bridge, Chess and Go online games will be operated and hosted by platform partners Bridge Base Online, Chess.com and Pandanet respectively. Registration is open for players from all levels, advanced to beginner. All participants get a chance to win prizes including Samsung TVs, tablets, Rado watches, and more. 12 000$ prize money will be shared among the winners of the tournaments. The tournaments will start from September 15 on all platforms.